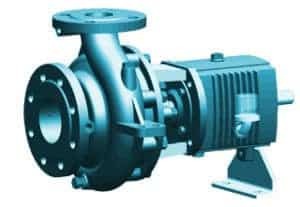 Single stage centrifugal pumps-overhung type, end suction, top discharge, single or double volute, foot mounted on a base plate and flexible coupling with spacer coupling to their driver. 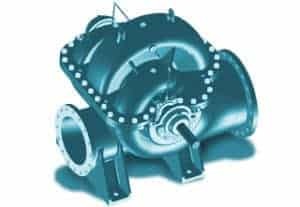 High efficiency and low NPSH performances. 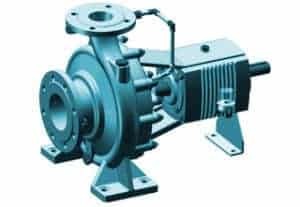 Single stage centrifugal pumps-overhung type, end suction, top discharge, single or double volute, centerline mounted on a base plate and flexible coupling with spacer coupling to their driver. High efficiency and low NPSH performances. 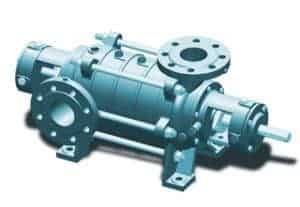 Single or double stage centrifugal pump-between bearings type, axially split, single or double volute, mounted on a base plate and flexible coupled with spacer coupling to their driver. High efficiency and low NPSH performances. Multi stage centrifugal pump-between bearings type, radially split, ring section, mounted on a base plate and flexible coupled with spacer coupling to their driver. 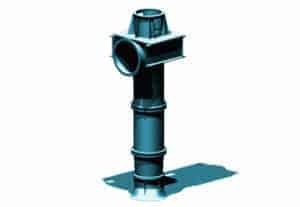 High efficiency and low NPSH performances. 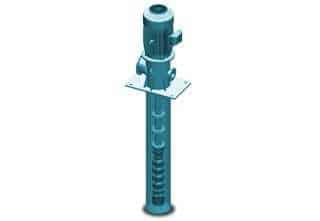 Wet pit, vertically suspended, single casing diffuser pumps with discharge through the column. 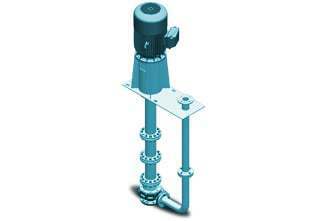 High efficiency and low NPSH performances. 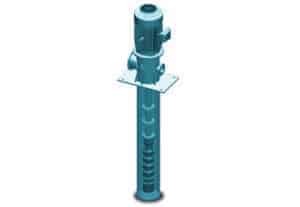 Wet pit, vertically suspended, single casing axial flow pumps with discharge through the column. High efficiency and low NPSH performances. 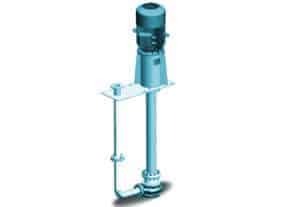 Vertically suspended, single casing volute cantilever pumps. High efficiency and low NPSH performances.